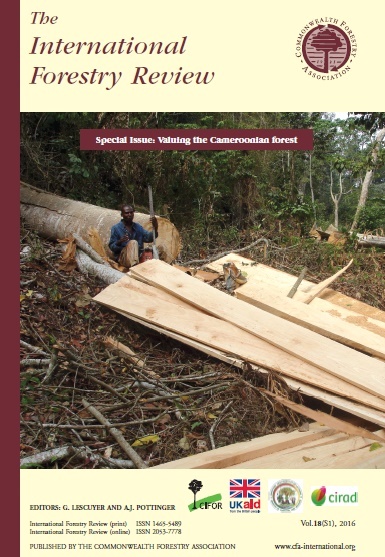 The International Forestry Review is a peer-reviewed scholarly journal that publishes original research and review papers on forest policy and science, with an emphasis on issues of transnational significance. It is published four times per year, in March, June, September and December. Special Issues are a regular feature and attract a wide audience. Click here for subscription details. 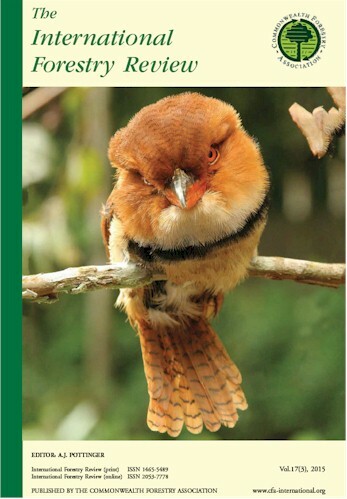 Click here to view the latest issue of the International Forestry Reivew. BioOne is a nonprofit publisher that aims to make scientific research more accessible through a growing portfolio of products, including its full-text aggregation, BioOne Complete™. Established in 1999 by five founding organizations–—the American Institute of Biological Sciences (AIBS), the Scholarly Publishing & Academic Resources Coalition (SPARC), The University of Kansas, the Greater Western Library Alliance (GWLA), and Allen Press, Inc.—BioOne serves a community of over 140 society and institutional publishers, 4,000 accessing institutions, and millions of researchers worldwide. The Commonwealth Forestry Association joined BioOne in 2010 in order to broaden the usage and impact of its esteemed journal, The International Forestry Review. BioOne coverage of IFR is from Volume 6 (2004) - present, and generates over 50,000 user hits per annum. Please visit the International Forestry Review on BioOne at www.bioone.org/loi/ifre. Back issues of the IFR are available for £15 per copy, plus postage. Missing issues (i.e. those that fail to be delivered) should be reported within 60 days of the publication month in question whereupon a replacement copy will be sent. Requests from members received later than this, or repeated requests for a missing issue, will be dealt with as back issues, and charged accordingly. Copyright for all material published in the International Forestry Review resides with the Commonwealth Forestry Association.